What Goes on Inside Apple Retail? 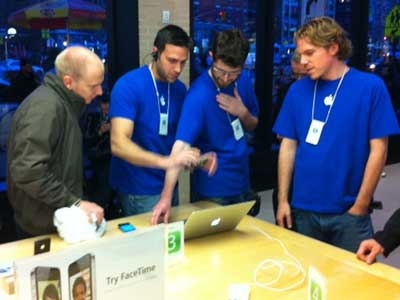 "Although doing so usually ends with a current employee becoming a former employee, one Apple Store retail worker recently had a lot to say about his experience working for the company." So they are kept in the dark until the keynote address just like the rest of us? I don't find that too surprising, I'd be more surprised if they knew in advance to be honest. But the article is an interesting one with some insight into the inner workings of the retail side of things at Apple, and you can read it at Popular Mechanics.